Widely recognized for their energizing and relaxing effects, Scandinavian Baths and hydrotherapy are associated with many benefits. In addition to cleansing the body, they stimulate blood circulation and the release of endorphins. All of the senses are awakened; muscles are soothed; a general sensation of well-being washes over you. Immerse yourself… to emerge again feeling calm yet invigorated by the experience of the Scandinavian baths. 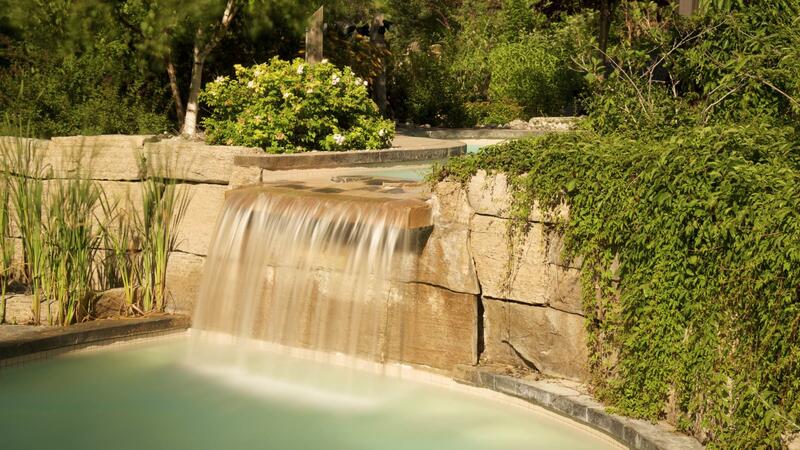 Wednesdays, unwind and access the Baths for only $55. Please note: The Scandinavian Baths are offered on a first-come, first-served basis. 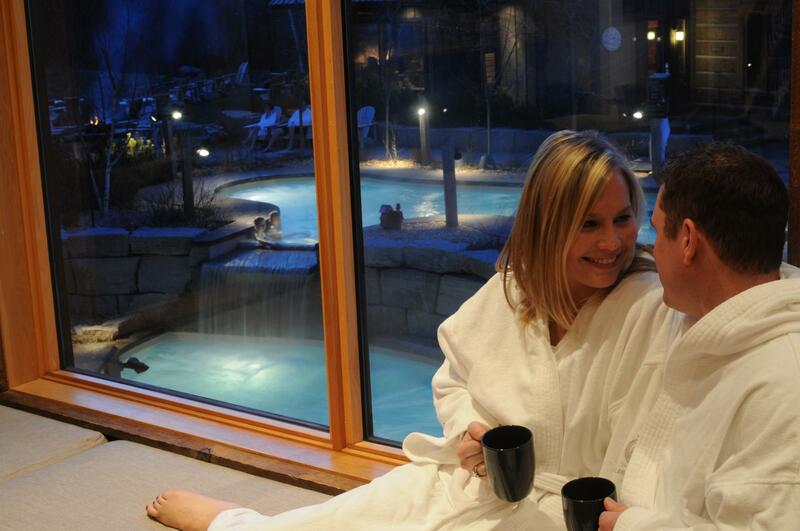 Weekends and holidays are very busy at Scandinave Spa; Baths guests may be subject to a wait list upon arrival. For more information and regular updates, please visit our Twitter Feed. All guests must be 18+ years of age. Massages can vary in technique from relieving stress gently, to alleviating muscle tension or pain. All forms of massage can improve blood circulation through the body. It is recommended that Guests review our massage definitions on our website to ensure the massage they book at Scandinave Spa Blue Mountain meets their expectation. We accept reservation requests for massages 4 months in advance. All reservations are booked through our reservations call center. Note: A review of your health history form will be part of your treatment time.All guests must be 18+ years of age. All massage bookings include access to the Scandinavian Baths experience and robe rental for duration of their visit. This full body relaxation massage is designed to ease general muscle tension and to improve blood flow through the body. The Massage Therapist will use long, gentle strokes with minimal pressure. A Swedish Relaxation massage is a good introduction to spa treatments. This type of massage will include a focus on specific areas of tension or muscle pain. The Massage Therapist will use light to firm pressure to activate relaxation and muscle relief. Depending on the discussion with your Massage Therapist during your health history review, this may not be a full body massage. Guests should not expect a Deep Tissue massage when booking this treatment. Duo massage is a Swedish Relaxation treatment for two people at the same time in the same room. This is a unique way to spend some quality time to pamper, relax and unwind together. A massage perfectly suited to the conditions of pregnant women. We recommend consulting your doctor before reserving a 60 or 90 minute treatment. A thorough review of your health history form with your Registered Massage Therapist before your massage is required. Please Note: The Scandinavian Baths are not recommended for pregnant women because the sudden changes in temperature can lead to complications. Please consult your doctor for more information. We open our schedule 4 months in advance and all reservations are booked through our call center only. Please call us for the most up-to-date information regarding availability; a member of our Reservations Team will be happy to assist you.